The Plot:Paris 1945. Jerry, an American soldier, decides to stay in Paris after the end of the Second World War and try his luck as a painter. While there, he falls in love with an unknown girl and becomes friends with an American composer and a French singer. The problem is they are all in love with the same girl. The Show:I have two confessions to make. First, the MGM classic directed by Vincente Minnelli was never one of my favorite movie musicals and although I like it, I never thought it was one of the genre’s best. Second, I always found Leslie Caron a little bit irritating. So, my hopes for the stage adaptation of this musical weren’t very high. A few years ago, I saw SINGIN’IN THE RAIN (one of my favorite movie musicals) in London and I was disappointed by it. So, imagine my surprise when I attended the movie screening of the London production of AN AMERICAN IN PARIS and fall in love with it! The plot is similar to the one of the movie, but it’s more interesting. There’s a dark shadow that kind of haunts the story, giving the show an edge that doesn’t exist in the movie. 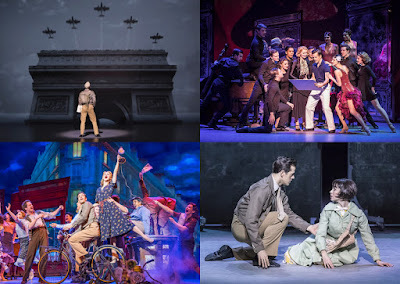 The musical is, without any doubt, the son of director/choreographer Christopher Wheeldon, who does an amazing job recreating the MGM movie to the stage and reimagining it in a way that makes it more exciting, interesting and dramatic. In his creative hands everything dances, not only the cast, but also the sets. 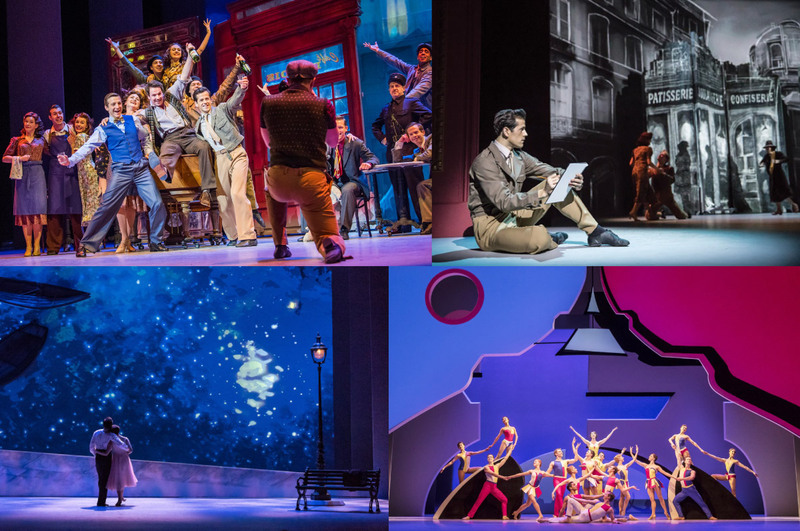 The entire show works like a ballet full of romance, poetry and life. This is a perfect oiled production, without dead moments. The use of projections gives it a cinematic dimension and transport us to a Paris still leaking its war wounds, but ready to embark on a new life. The opening number creates the perfect atmosphere and its with delight that we dance through the streets of a post-war Paris. The final ballet it’s the number closer to the one in the movie. But for me the most enjoyable numbers are the entertaining “I’ve Got Beginner’s Luck” and the genial and contagious “Fidgety Feet”. 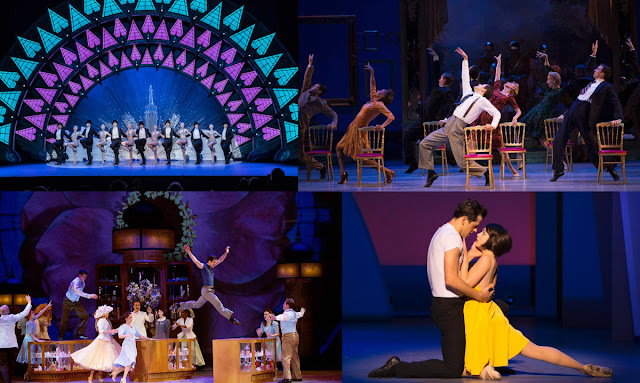 Of course, the songs by the Gershwin are unforgettable and it’s always a pleasure to hear them and see them become alive in such a wonderful production. Leading the cast are Robert Fairchild and Leanne Cope, the ones who created the roles on Broadway, and they are a match made in heaven. Their singing voices aren’t strong, but they know how to carry the tunes and their dancing talent is fabulous. Fairchild has everything that is needed to be a star and a matinee idol. Cope is delightful and it’s easy to see why the three guys fall in love with her. David Seadon-Young as Adam is a bit annoying at the beginning, but soon we warm up to him. As the French singer, Haydn Oakley is a nice sweet feller and his “I’ll Build a Stairway to Paradise” is great fun. As Milo, Zoe Rainey is a scene stealer and make us wish there will be a happy ending to her. 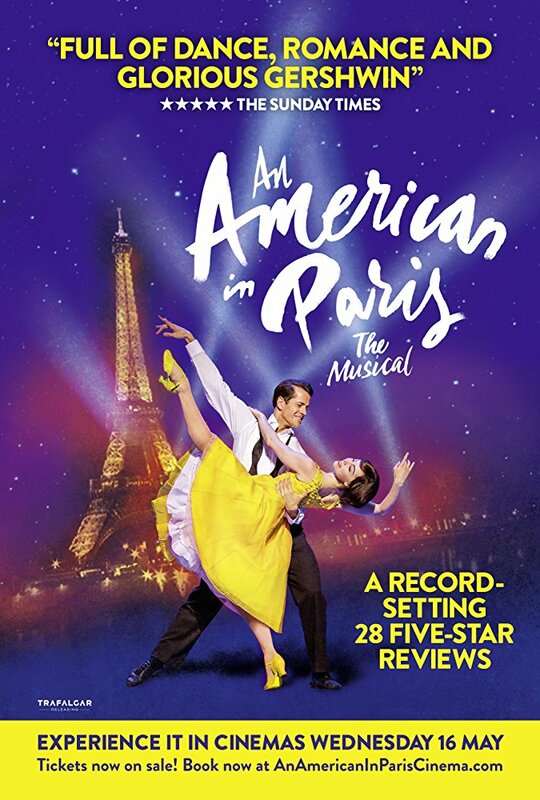 On the whole this a breathtaking musical and Ross MacGibbon did a terrific job filming it during its London run at the Dominion Theatre; it feels like we were there, at the theatre. The end result is a treat for all senses and “who can ask for anything more?” Don’t miss it in a cinema near you!